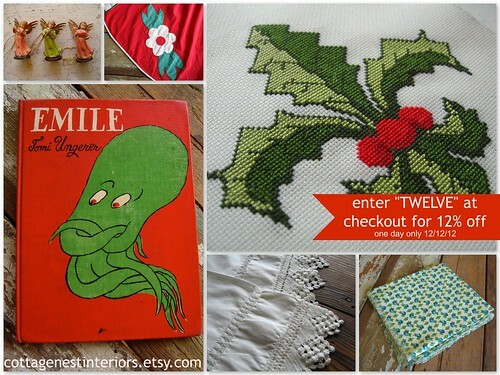 All day long it's 12/12/12 and that means it's also 12% off everything in my Etsy shop! That includes all my cross stitch patterns (including Downton Abbey), vintage linens and fabrics, and my silk-screened towel collection. Just use the coupon code TWELVE at checkout. I feel like I've been channeling a bad Grumpy Cat meme (who I just adore btw); so, I decided to get my holiday bah-humbug under control. Yesterday morning I finally gave into a couple things I've been wanting...desperately! 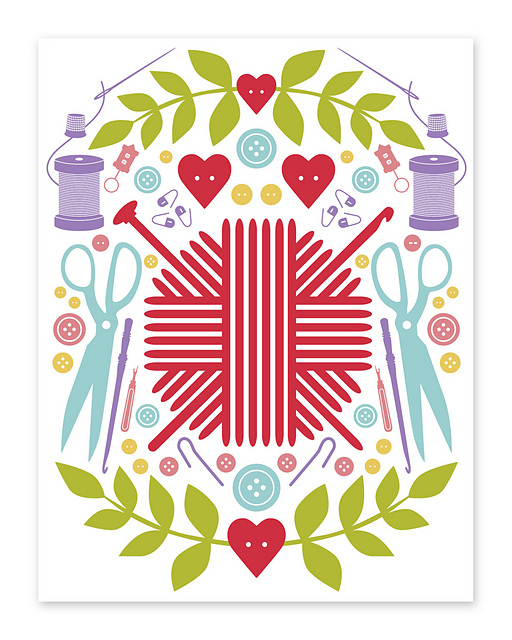 I can't tell you haw many times I've admired this pretty set of notecards offered by Ravelry, I think I will frame one. Next, I settled on a book - it seems forever since I actually sat and read. My hands are always busy; well, until my hand injury. So, I settled on a Christmas themed book from the Flavia de Luce series by Alan Bradley I Am Half-Sick of Shadows - it's one of my favorite series! If you like English novels set in grand homes and gardens with a bit of intrigue...this is the book for you, plus the eleven year old heroine is someone your grown-up self will admire quite a bit. Lastly, I surprised myself when Craftsy had a flash sale last night and I enrolled in stupendous stitching, which is an exploration on textile surface design! I probably won't have much time for this until next Summer...but I couldn't pass it up! Ok, my stocking is full now...and I think I might just be able to brave the holidays! The Christmas season is well underway in our small (and balmy) town of Ponchatoula. Last night was our annual Christmas parade; it was a beautiful night and the parade passes right in front of our shop - which makes it awfully nice considering what a loooong day it had been. I opened early to start rearranging tables and shelves...as lots of items had already sold this season (yea! ), part two of a quilt class was in full force by noon in the sewing area of the shop, sales were good throughout the day but this time of year I feel like I do more entertaining than business. Including one customer's husband that decided to lay down on the ground with my dog and have a smooch fest (Chico totally hated it btw)...I'm glad people feel comfortable to be themselves in my shop but sometimes I wish they'd be a little less...especially when I'm having to step over them to assist other customers. Oh and the children...I should preface this with, I'm not generally a "kid" person, but I do really feel for kids that get drug into the shop; the first thing you hear from mom or grandma is a stern "don't YOU touch anything!" Honestly, how can you not help yourself...everything is shinny. Even mom and/or grandma has their paws all over everything that within moments of them leaving, I'll swoop in to put the lid back on the candle, fold the shirt they threw on top of the pile, find the doo-dad that fell behind the shelf they didn't think I saw. Anyway, I had pretty much enough of hearing children's hands being slapped, yelled at, then yanked one armed to the car...you know for being children. C came to help out around 2:30 and I finally sat down and just sat there dazed. Today I'm off; C volunteered to open on our normally closed Sunday, so we could keep up the holiday momentum but also, to give me a little break. I'll catch up on a few more silk-screening projects, and if there's time complete a sewing project...even though what would really do me some good is putting my feet up and watching sappy Christmas movies. These adorable polka dot Bar Mop towels have been reduced to just $5 - a total WIN for co-worker or teacher gifts! Just one box of Cavallini Christmas Bird Stamps left and it's also reduced! 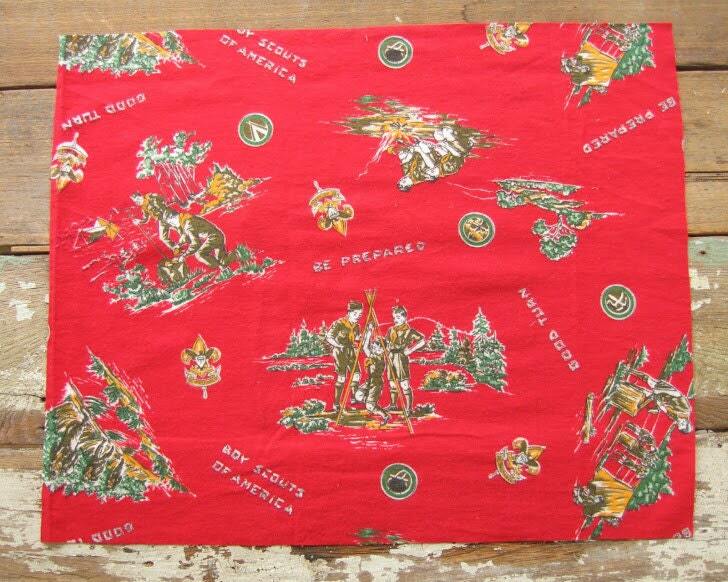 vintage Vera Neumann Christmas Teddy Bear cloth napkins - just $5 now for a set of 4 - squee! I know I said no new projects before Christmas! I couldn't help myself, ok? Since I've not been able to embroidered or crochet because of my hand injury, I'm rediscovering some of my old loves like sewing and silk-screening. A few months back, you may recall when I introduced my new fabric collection with Spoonflower, Julia's Kitchen, based on Julia Child's fleur de lis motif in her book the Mastering the Art of French Cooking. I took the design in a new direction and began to work with it on some small silk-screened runs. 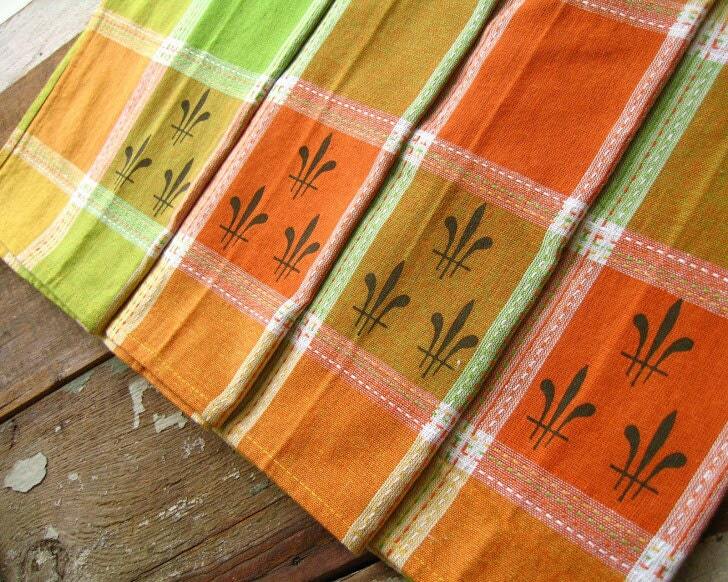 Here's a peek of Julia's iconic fleur de lis trio incorporated in these fun citrus towels. I had planned on screening this design on crisp white towels but they are back-ordered until January. Initially disappointed, I am so glad it pushed me to try something different. These are certainly more lively, just like Julia herself! purchase one of these limited edition towel right here. 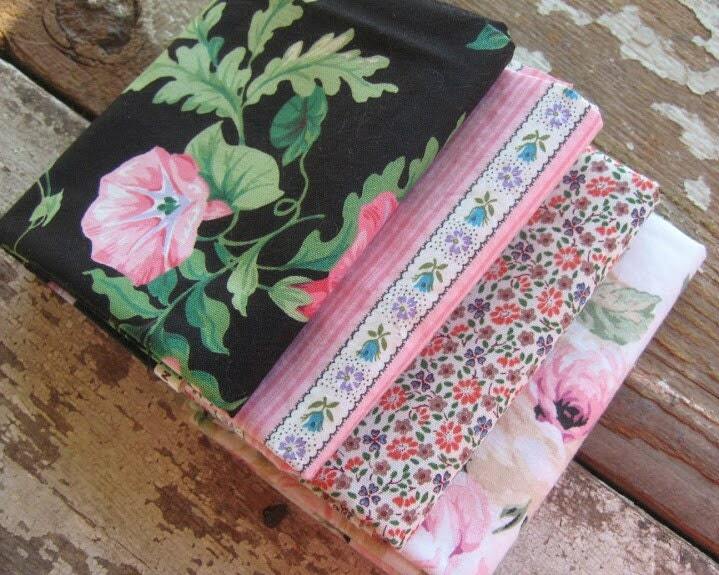 A lot of people ask me where I find my vintage fabrics? Some come from my own collection of my Grandmother's stash, others are sometimes thrifted, but the best is when some very kind person says "hey, you want four bags of vintage fabric I can't stand looking at anymore"...that day was last Saturday. Thankfully, one of my wonderful friends couldn't keep storing her mom's stash...and she had just combined it with more vintage items belonging to her aunt. When someone says they don't want fabric, I happily accept whatever the condition! So, basically Christmas came early! 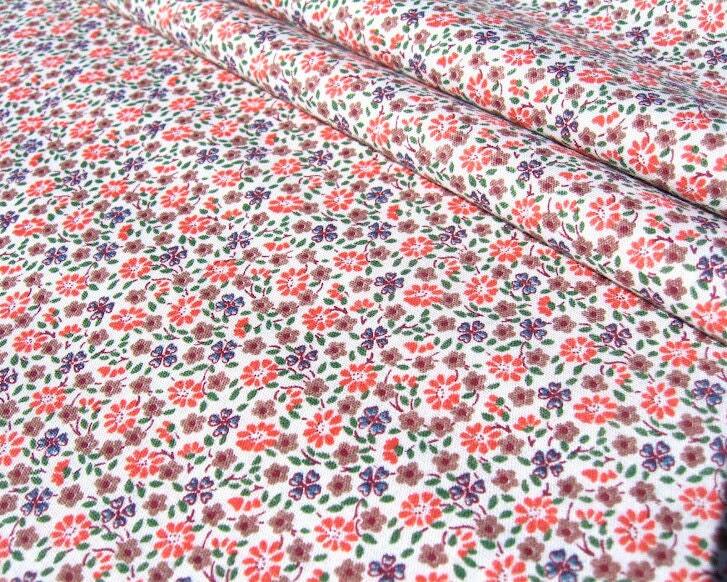 Tons and tons of barkcloth, chintz, and just this little piece of flannel...that I've chosen as Friday Featured Fabric. 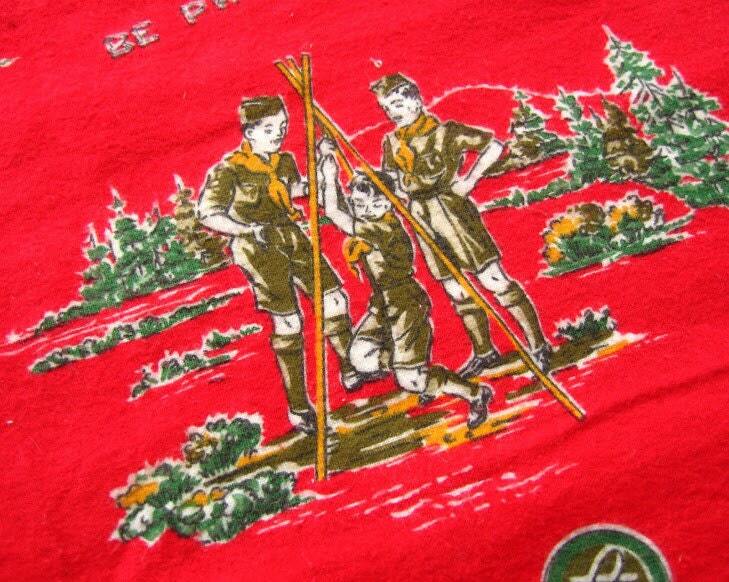 This is a fat quarter sized remnant; featuring great images of boy scouts camping with their logo and mottos interspersed. I showed it to one of my shop vendors and sewing buddies, Darla, and she thought it would be great cut up in appliques. I see it as one side of a camping pillow? What would you make?? Finally! I think it's just been under a year that I completed my Down with Downton Abbey cross stitch pattern and yesterday the stars and moon aligned and allowed me to stick it in a frame. I framed it myself using an Ikea Ribba frame and loosely used techniques from Posie Gets Cozy. Almost daily I've been receiving e-mails that sort of go like this..."your pattern is just precious but I'm much TOO busy and could never figure out to do this SO can you just make me one in time for Christmas????" Um, in a word "no". First off cross stitch is totally easy (yeah, I'm talking to you - you can do this!) but it can take a loooong time. This took over a month and I stitched between 4-5 hours a day. Not to discourage anyone; I love that an embroidery project becomes a part of your life for a period of time but I'm not interested in producing these finished. I really like connecting with those that are stitching along with pattern...that has been the most rewarding thing that blossomed from this venture! And of course there is this...I'm on a forced break from stitching. I formed a ganglion cyst in my finger (probably from too much stitching). I haven't stitched or crocheted in over two months, I think (ugh) but it's actually going down now. So hopefully, I will be back in business in the New Year (which is good because I've got quite a bit planned)! If you're not totally dismayed to attempt this pattern, here is a little encouragement. One of my star customers from The Teakettle Corner sent me a picture of her finished work on a pillow...I would not have even thought to do this...but I have cats and can't have anything nice! She also shares a tutorial on how to make a similar style pillow here. 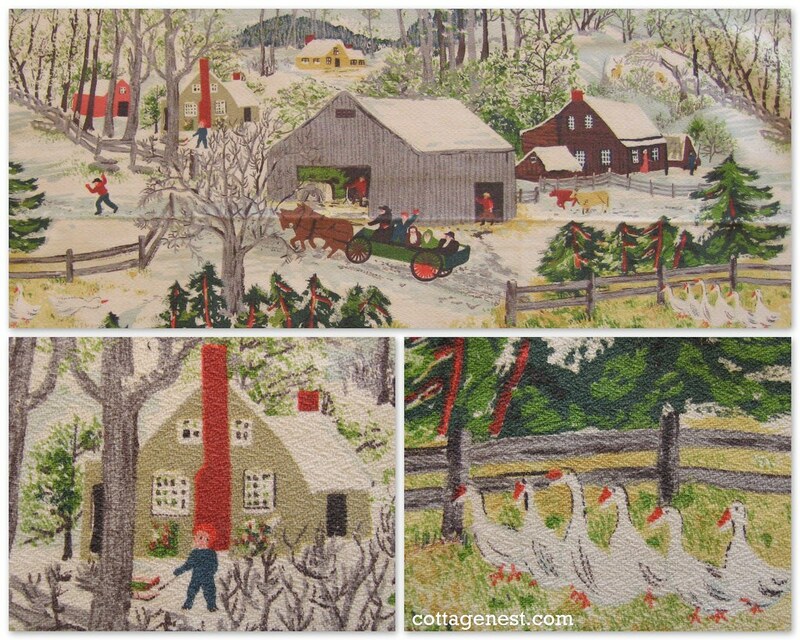 Her blog is great and shares her work on many projects, so you can get a feel for just how long some of these projects can take...and how rewarding and pride you have when it's complete!